In 2009, we designed a community art project with Master Artist Anne Cubberly. 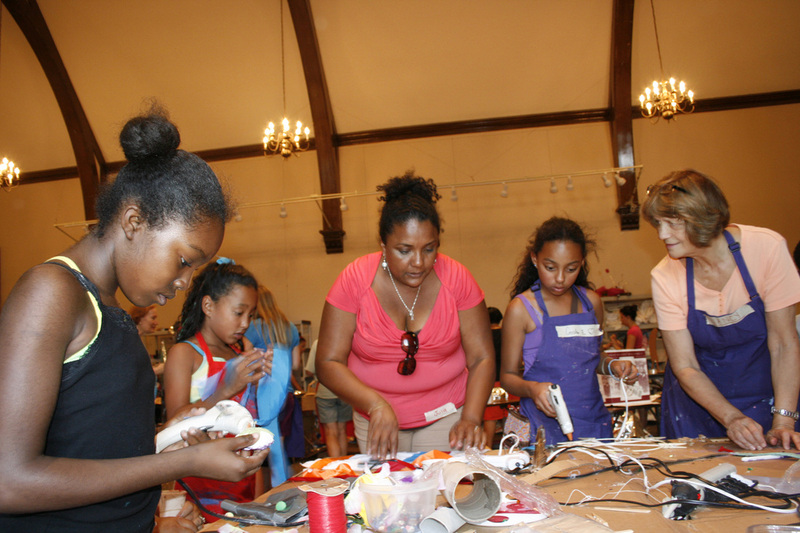 Joined by other teaching artists and church volunteers, we initiated a week-long summer workshop where members of Asylum Hill Church and neighborhood residents collaborated to design and create masks, giant puppets and apparatus to be showcased at the Sigourney Square Family Festival at week's end. 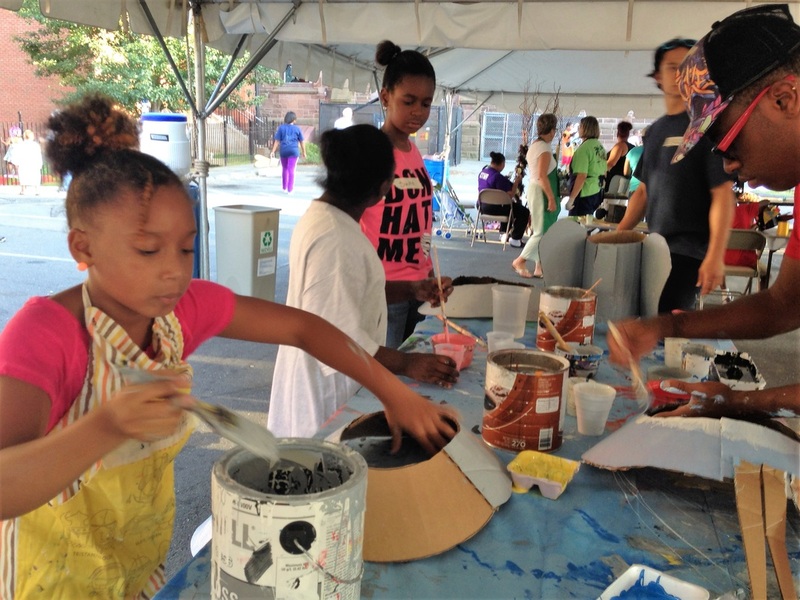 Using recycled materials, we created a cultural experience that encouraged community interaction and cross-cultural relationships while teaching artistic skills which can be applied to everyday expression and neighborhood enhancement. ​Participants young and old gather in the church parking lot (tented) and in the church building from Monday through Friday for Artist Workshops and additional supervised work space/time to bring their creations to life. Additional trained volunteers are on hand to assist at all times. Adding to the experience, Hartford based performance artists and "street performers" are hired to teach skills and character development to project participants. These skills enhance the final parade as well as foster personal development of the child and adult participants. 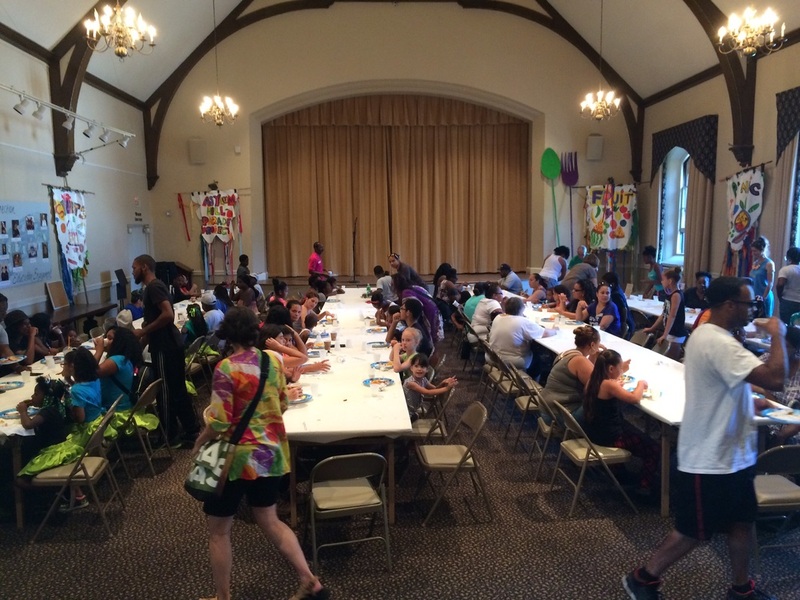 ​On Saturday, after a participant Pancake Breakfast, completed creations are "paraded" to Sigourney Square Park (only 6 blocks away) where neighborhood residents share their works as part of the annual Sigourney Square Family Festival, already supported by a City of Hartford grant.